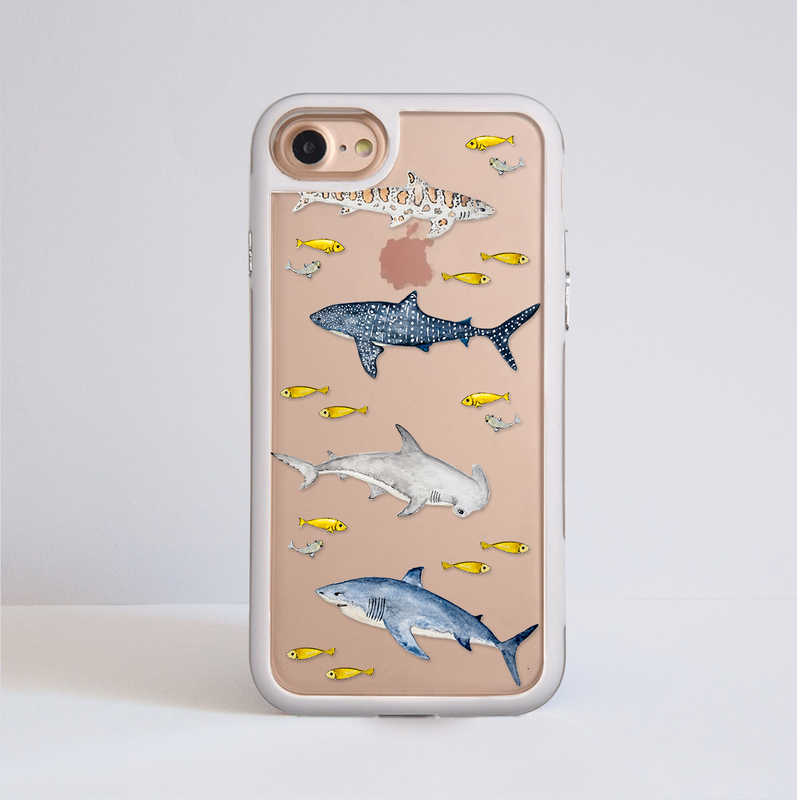 The Phone Case design features some of the most beautiful types of sharks. We use watercolours to create the artwork because it gives a bit more texture and beautiful colour blending to the final design. 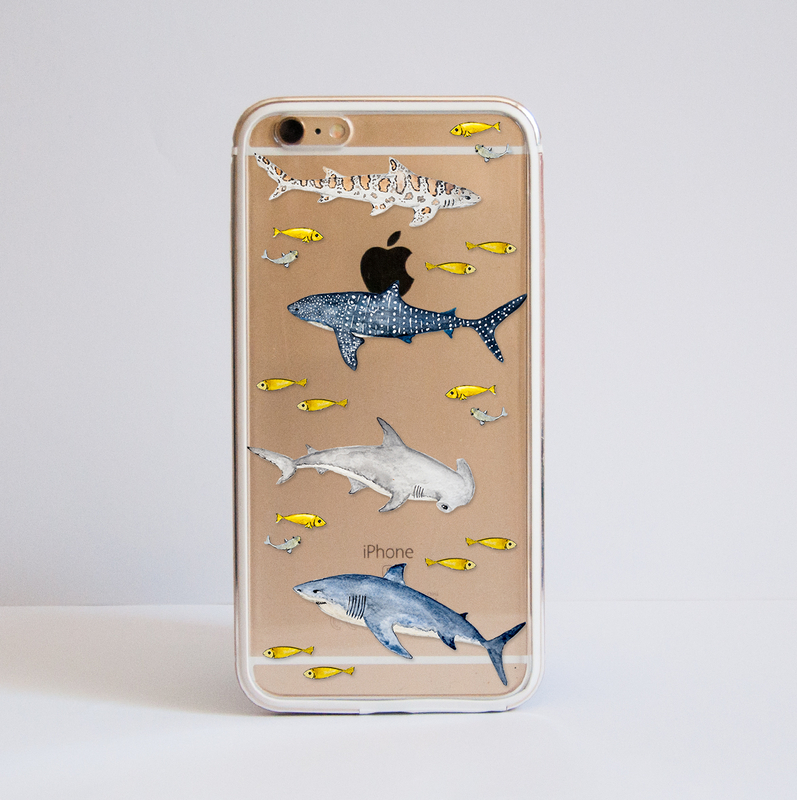 The transparent design allows your phone to be visible underneath creating a natural background for the artwork. The images above are example for an iPhone 6s Bumper Case. The Bumper cover is made from two parts : aluminium frame available in 4 colours- Rose Gold, Gold, Silver and Black and a clear hard plastic back plate. Each case may have slight variations in print as all cases are different sizes and shapes. The desigsn was created using watrecolours to achieve more texture and beautiful colour blending. The clear designs allows your phone to be visible underneath, but unlike a sticker it will protect the whole surface of your phone. The pictures above are examples of an iPhone 7 case. However, we do offer a wide range of Samsung and Google models too. This type of case is perfect for all of you who tend to drop their phones often. The design features some of the most beautiful shark types, such as the great white shark, the whale shark, the leopard shark and the hammershead shark. The clear designs allows your phone to be visible behind teh artwork, creating a natural background for it.